Gautam Prakash : The Un-natural Act: The Five Most Happening Days of My Life...Yet! The Five Most Happening Days of My Life...Yet! The year 2008 will be etched in my memory forever. It has been a rollercoaster without seatbelts – downs and ups. But I ‘ll have to admit that the 5 days starting the 13th of August marked that uppermost crest; that exact spot where you cannot see anything in front of you and your turning stomach tells you for sure that the rollercoaster is not on the tracks anymore! Yea, now you know what I am talking about. “Should I? Shouldn’t I?” or “Should I just worry about THE exam tomorrow?” Lots of questions marked Day 1. I had been planning a month long trip to the Southeast Asia, backpacking to Thailand, Cambodia, Vietnam, Laos, Philippines and the rest for a long time now. Not seeing it happening any time soon, I just bit the bait and decided that “I should”! And, that was the point of no-return. 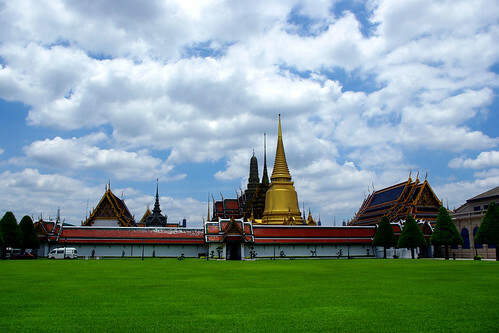 I booked a return flight to Bangkok for Friday morning. Oh yes! Wondering about the exam? Hold your horses, it happens the next day. The D-Day arrives. “What’s all the fuss about?” I say when I wake up at 11 in the morning. A couple of messages and missed calls waiting to wish me luck. No offence to my well-wishers but I like to be left alone before an exam. Except of course for my parents! I have a good brunch, shaved after eternity, wore a nice clean set of clothes, rechecked the passport and appointment printout and left for the center. First impression of the center: it’s shabby! Looking worse than a cyber café, the place has creaky chairs and a talkative examiner. Who cares? I sit there for 4 hours, taking my breaks, doing the things I was supposed to do. Voila! 770 of 800!! I was ecstatic! Cloud number 9! On top of the world! Spellbound! Independence Day? Hell yeah!! Amidst chaos of lost debit cards and no foreign currency, I make it to the airport in time. Finally checked in and after facing some stupid questions by the immigration and customs guys, I finally board the flight. 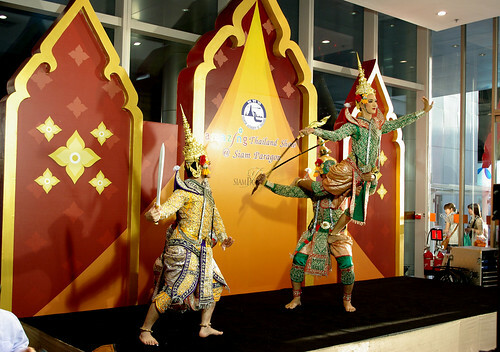 You would be surprised to see your co-passengers on a Bangkok flight. The language most spoken: Bhojpuri. The flight is half-filled with storeowners just going to smuggle stuff back in. Isn’t it obvious looking out for such people?! But after the Haywood case, I wouldn’t be surprised if it is not. I arrive in Bangkok! Visa on arrival and immigration formalities done, I am out of the airport. Thanks to Sam, I knew exactly where to land up and that was – no surprises – Sukumvit! 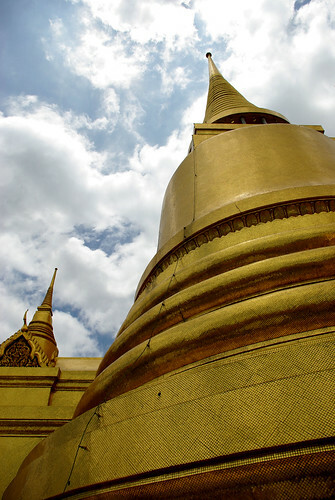 I get a cab, admiring the nice roads and the beautiful skyline, and reach the chaotic place of all – Sukumvit. The best thing about this place is that EVERYthing is at your arm’s reach. Whatever you want to do – party, eat, drink, girls, travel – it’s all here. I check into Suncity Hotel for a 1000 bahts a night. Nice clean room, though a tad bit small, will serve my purpose of needing a place to crash for the three nights I am going to be here. The first night, I go and check out the Sukumvit area. The nightlife is just unbelievable. The whole atmosphere is so electric. I completely lost track of time and hopped from one bar to another. Chatted up with a few girls here and there. I got a much-needed thai massage. Wanting to be relaxed and rejuvenated for Saturday, I call it an early night and hit the bed. Fresh and hungry! I wake up starving and cursing myself for not taking the [breakfast + room] combo. A quick shower later, I realize it’s time for shopping!! 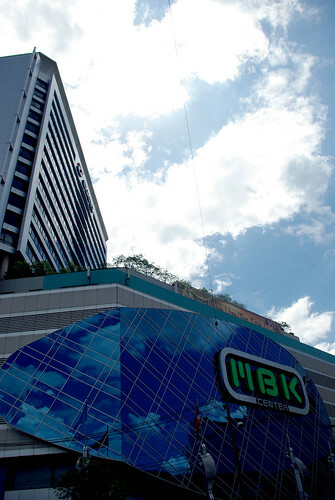 A phone call to a friend asking for shopping tips in Bangkok, I leave for MBK, one of the largest malls in Bangkok. I take the BTS from Nana station. One of the biggest plusses of staying in Sukumvit is that it’s very well connected using the BTS and the MRTS train lines. There are scores of cabs and ‘tuk-tuk’s also available if you don’t like the trains. A very helpful attendant at the change counter helped me out and I got off at Siam station. Just to give you an idea how huge MBK is, let me just tell you that it has entrances from two separate train stations! And what a crazy time I had shopping – left, right and center! I did not even realize it was already evening by the time I came out of the center. Followed by a yummy burger combo at Dairy Queen (DQ) and the sight of a full rainbow, I checked out Siam Paragon mall and an Amazing Thailand Tourism promo show at the mall. Later in the evening, I met up with some friends after a long time. 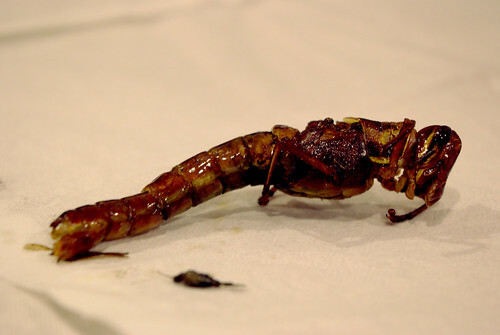 Some nice family and friend time later, I am hungry for some nice Thai food again! A yummy dinner and another bar hopping later, I sleep off with plans for sightseeing the next day. My last day in Bangkok! I am a good boy today. I got up at 8am, have a nice full English breakfast (reminds me of Goa days) and get on the MTS again to ‘Saphan Taksin’. 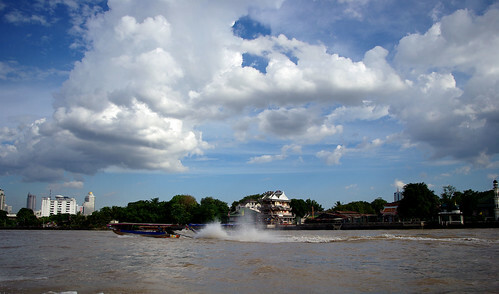 From the central pier, I hop onto one of the tourist boats on the ‘Chao Phraya’ river. The river ride is simply beautiful. 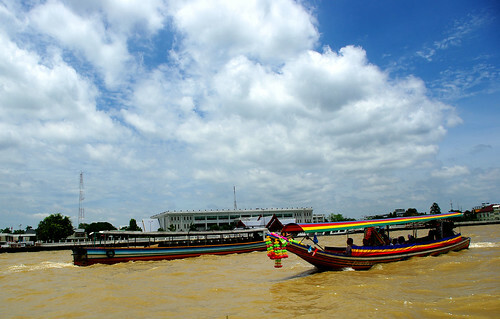 Lots of colorful boats around (causing a lot of pollution too!) 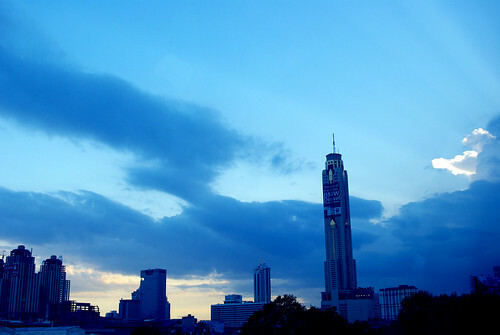 and a skyline to die for. I go snapping at the camera – Click Click! After putting up with the tour guide’s pathetic jokes, I get off at ‘Memorial Bridge’ pier. 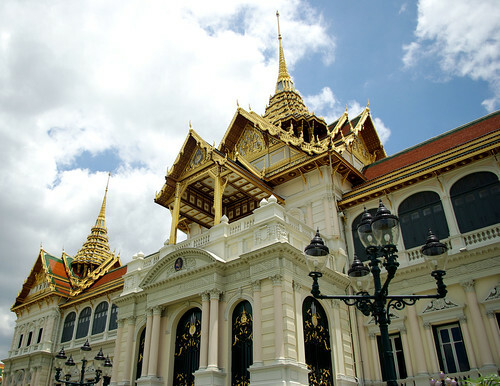 Somehow I loved walking in Bangkok, I arrive at the Grand Palace. It’s so unlike any tourist place in India. The first thing that struck me was the cleanliness. There were touts, footpath salesmen, hordes of tourists but the place is sparkling clean. I am ecstatic and go berserk with my camera again. I will let the next few images speak for themselves. 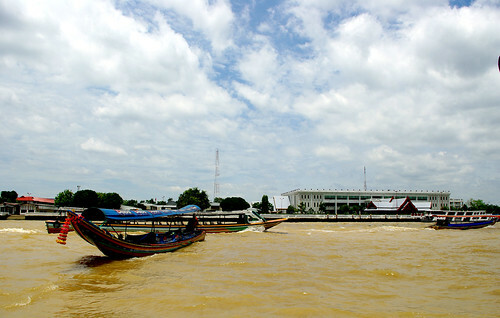 I take the boat again to Banglumpoo and go walking again in search of Khao San road. I have never been lost like this. I don’t want to walk anymore! Circling twice around the whole area, I finally locate the road, wondering how I could have missed it out in the first place. This area is TOTALLY rocking. Lots of foreigners, restaurants, markets, tattoo parlours! It was literally love in first sight. (I would still stay in Sukumvit the next time though) Spent some good time here eating and drinking, it’s time to go back to the hotel. The boat ride and sky train ride again, I reach Sukumvit in around an hour’s time. A quick nap is well-deserved and I am out again, my last night in Bangkok. 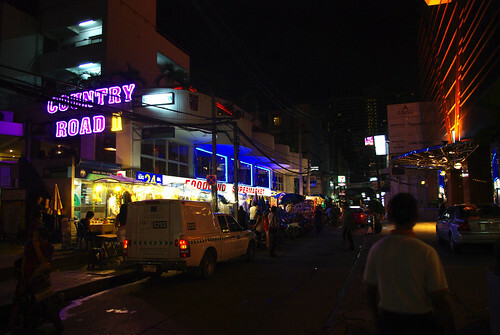 Tonight, I check out the infamous Patpong area. 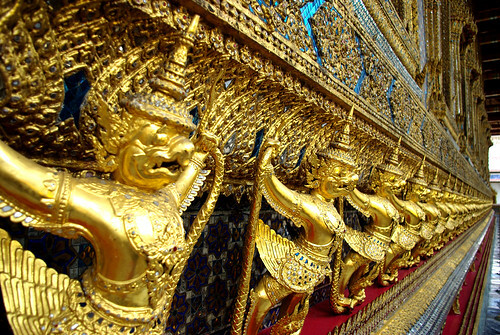 The less said the better *wink* but this is a must-see if you are do visit Bangkok. The next day, I am back in Kolkata and head to work with a heavy heart. The ‘Land of Smiles’ really left a deep imprint in my heart. I am sure going to be back again, SOON! Moral of the story: The kid ALWAYS smiles at the end of a rollercoaster ride. to be my guide when i tour. Gmat has laid d mat for you to come here. Congrats! Thanks Suvankar! It really was a lifechanging experience! @SK: Thanks machi...Bangkok was amazing! It is very informative blog. I love to read such blogs in my holiday time.